The new floating universal skimmer forcefully pulls leaves, pollen, or other inputs from the water surface into its debris collection basket. 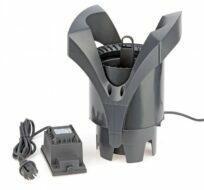 The debris collection basket can be conveniently removed with the filter sponge and cleaned. 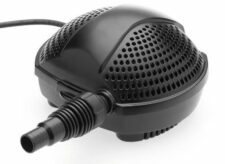 The 12V safe low voltage enables flexible and safe implementation in garden ponds, as well as in pools or swim ponds. 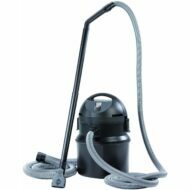 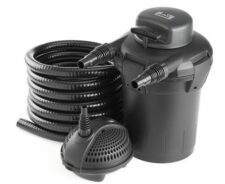 Cleans water surfaces up to 25m², effective and flexible for pond and pool!